One Gear. No Brakes. PURE SPEED! Velodrome cycling is the fastest sport on 2 wheels! 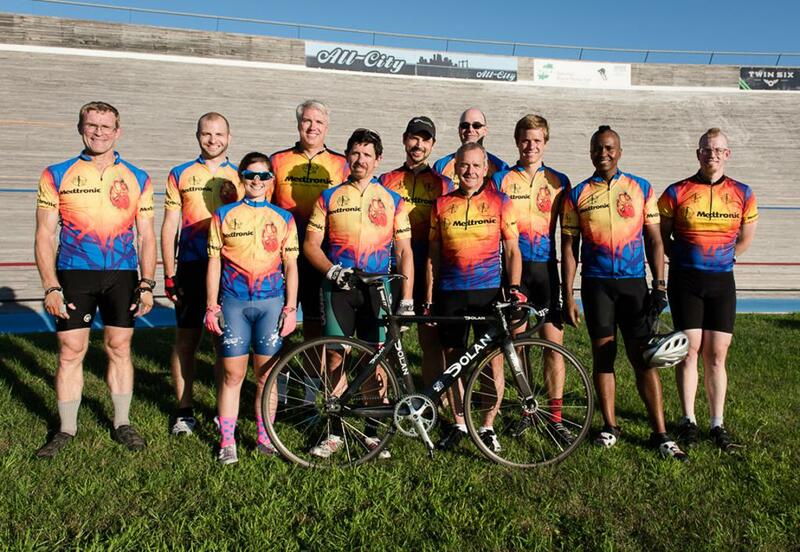 Bring your group to the National Sports Center Velodrome for an unforgettable interactive outing. The National Sports Center Velodrome in Blaine, MN is one of the preeminent cycling venues in the world. Olympic and professional athletes from around the world ride this unique track. The NSC Velodrome hosts a full schedule of weekly racing and features several high-profile national events each summer. People of all ages are getting on their bikes in record numbers. The NSC Velodrome offers a great way for the cyclists in your group to try their hand at one of the oldest and most exciting forms of cycling. Our experienced staff will give you all the training you need, provide you with bikes and let you “roll ‘em off” on our storied boards. We can accommodate groups as large as 20 on reserved nights at the velodrome. Velodrome cycling is one of the most unique and exciting sporting events in the Upper Midwest. Its growing popularity makes an event at the NSC Velodrome a truly memorable venue for your next outing. We welcome groups of all sizes and fitness levels. Our staff is dedicated to making your event unforgettable. Contact Bob Williams at bwilliams@nscsports.org today to schedule your event.